Air Conditioning with Cooling Towers consume 600 to 750 Watts per TON against 1400 to 1500 Watts per TON using Air Cooled Air Conditioning. This is due to evaporating cooling effect of water used in cooling towers, and lower condensing temperature than atmospheric temperature of Air Cooled systems. Lower condensing temperature extends life of compressors and less maintenance. Unfortunately Cooling Tower AC with chilled water is available for 250 TONs and above, and hence mainly used for commercial and industrial applications. 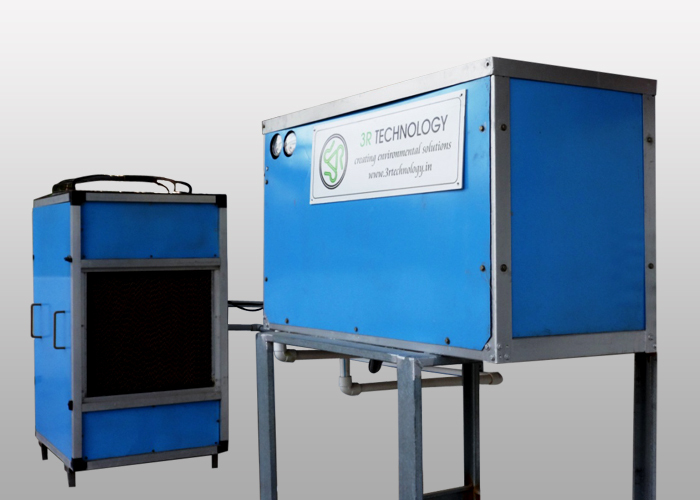 With 2 years of R&D, 3R TECHNOLOGY offers Energy Efficient Water Cooled Chilled Water AC from 5 TON AC up to 50 TONs Modular Units for Residential, Commercial and Industrials application.